The largest utility company in the Sunshine State, Florida Power & Light Company (FPL), has revealed that 3 of the solar photovoltaic (PV) projects that the company is currently having developed in the state are on track to be completed in 2016. Once completed, these 3 projects will effectively triple the firm’s current solar energy capacity. It should also be noted that these projects will reportedly not increase customer costs to any degree. Design and construction on the projects is being handled by the company Black & Veatch. Ground-breaking on the projects is expected to take place before the end of 2015. The FPL Babcock Ranch Solar Energy Center will be developed on land donated by the Babcock Ranch development — helping to keep development costs low in the process. County tax incentives and a portion of franchise fees committed by the Babcock Ranch Independent Special District will also lower the cost of the project. 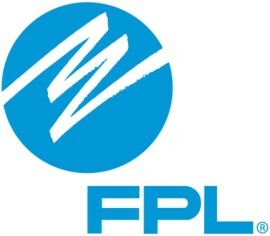 The FPL Citrus Solar Energy Center will be developed on 340 hectares of land that is located near the 25 MW FPL DeSoto Solar Energy Center, which was opened in October 2009. Meanwhile, the FPL Manatee Solar Energy Center will be constructed on a 308-hectare site that FPL owns near its natural gas-powered Manatee Power Plant. Considering that this is Florida we’re talking about here — the “Sunshine State” — hopefully such developments become more common in the coming years. Of course, it would also be nice if Florida supported rooftop solar. However, as you probably know, the state has been very unsupportive of rooftop solar, not providing incentives for homeowners like other states provide, and not even allowing for third-party solar ownership and sales (i.e., not allowing companies like SolarCity, Sunrun, Vivint Solar, and Sungevity to come in and offer solar leases and PPAs). But FPL’s perspective is clear: “Large-scale solar is by far the most economical way to advance solar energy for the benefit of all of our customers.” For FPL? Definitely.